If I’m being honest with myself, “Tangled Up in Blue” is my favourite Bob Dylan song. It’s the only one that I’ve ever wanted to write something “serious” about. For years I have contemplated an article about Dylan’s shifting lyrics for this song without ever coming up with an insight that I thought was worthy enough to fully develop. Essentially, I was never able to answer for myself the question: “He changes the lyrics almost every time he plays this – so what?” beyond the fact that, well, that’s awesome, is what it is. 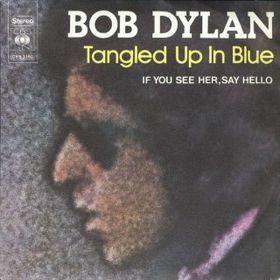 “Tangled Up in Blue” was released as the first single from Blood on the Tracks, possibly Dylan’s best album. It peaked at #31, which is grave indictment of the 1970s, because it deserved much better than that. Lyrically it might be Dylan’s most sophisticated song, and the version on the album is tremendous. As with “All Along the Watchtower”, Dylan gets a lot of mileage by telling his story in a non-linear fashion. Beyond that, there is the pronoun confusion that makes it all so worth listening to. Listen to the earlier album version of this song that can be found on Bootleg Series 3 (listen to “Idiot Wind” too, it’s fantastic as well). In that version Dylan uses (primarily) the pronouns “he” and “she” and tells the story of a couple breaking up, and then the “I” gets involved the fourth verse. 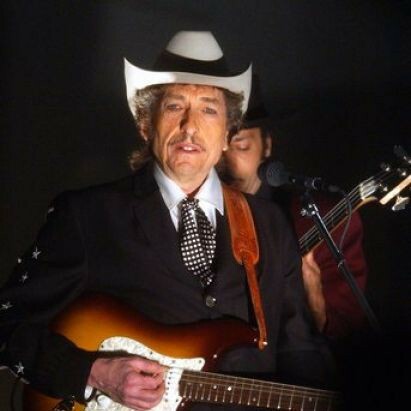 Dylan completed Blood on the Tracks in New York, and then re-recorded a huge portion of it in Minneapolis, including this song. On the version that appears on the album, he uses a lot more “we” and “I” from the beginning, completely changing the meaning of the song, and making the narrative a lot more difficult to follow. It is the ambiguity of the pronouns (“Then he started into dealing with slaves / And something inside of him died” – who is the “he” in this verse?) that makes the song so fascinating. Beyond that, Dylan will regularly change the phrasing and the rhymes when he plays this live. He changes the jobs that the characters have or have had. Few songs have been so variable in their live presentation. A large part of me would like to get every live version of this song from 1975 and try to chart it all out. If I do write a post at the end of this week doing that, you’ll know that I’ve vanished down the rabbit hole. I’m going to come back to this song this week, but I wanted to kick off the greatness of 1975 by giving you this live performance of “Tangled Up in Blue” from the Rolling Thunder Revue. Dylan, acoustic, face-painted, that hat (oh, I love that hat!) changing the lyrics. Watch how great this is. It’s only a year and a half after the tour with The Band, but he’s so much better at playing intimately to the big venue. He’s not reduced to yelling out the lyrics (though he does do that a lot on the tour), he is actually singing. And what a great song he is singing.